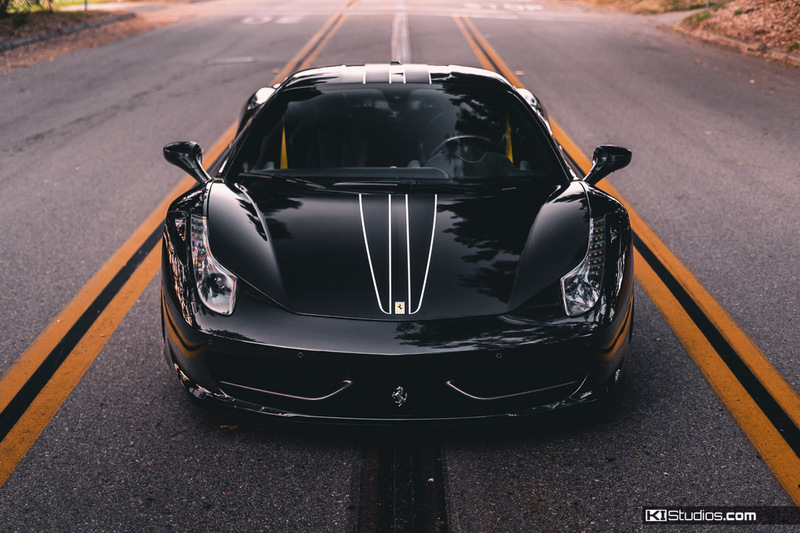 This gorgeous black Ferrari 458 Italia is our 2018 KI Studios photo contest winner. It’s so good that we decided to host it in our gallery. 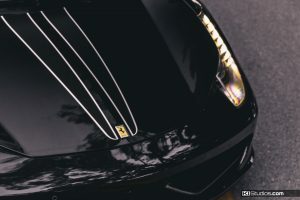 The car features our very popular Scuderia top stripe kit. It can be ordered in a single color or a layered 2 color kit in the color combination of your choice. The stripe kit in the photo is the two layer version. The first layer is wider than the second one producing the outline. In this case, the outline is silver and the main stripe color is matte black. This is a very popular combo on many car colors. That said, it works particularly well on a gloss black car. 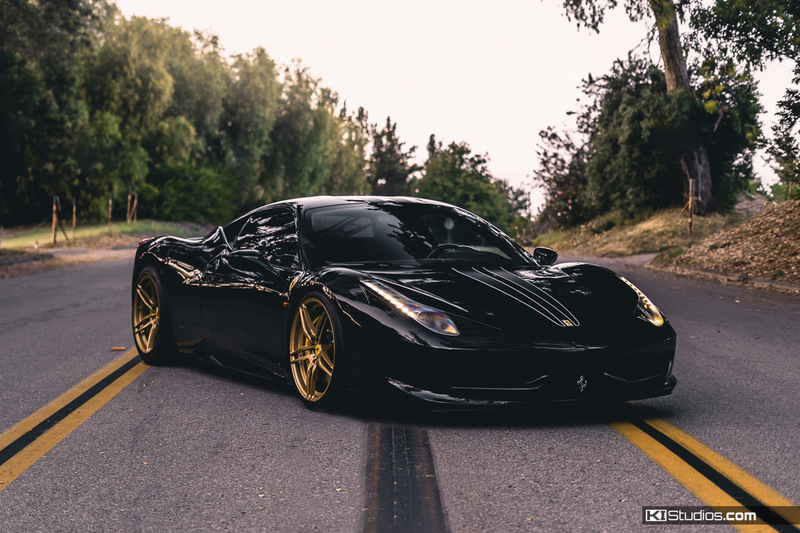 Matte black on gloss black is a very subtle but very clean look. Adding a gloss silver border ads a touch of contrast without overpowering the theme. That way the matte black doesn’t get completely pulled in by the gloss black base. 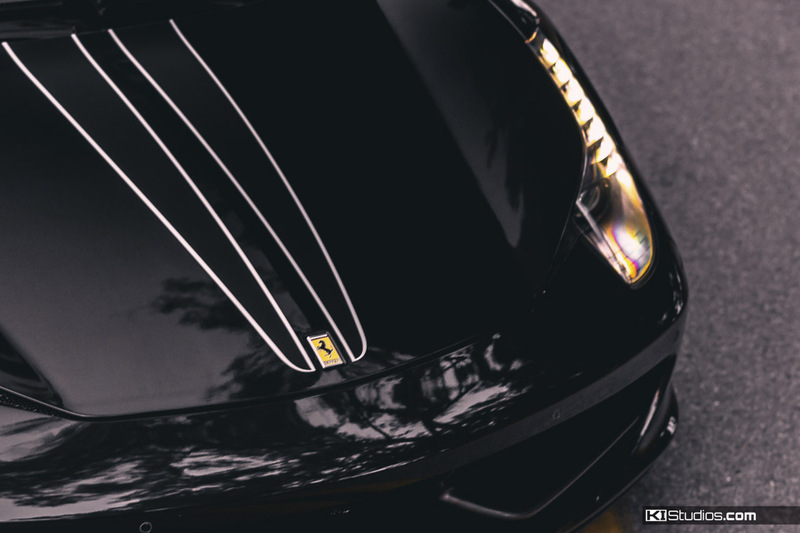 Using matte black as the main stripe color is a very popular option. It’s often combined with blue, red or yellow. We’ve found that a matte black center with a gloss black outline works too, as long as the car itself isn’t black. 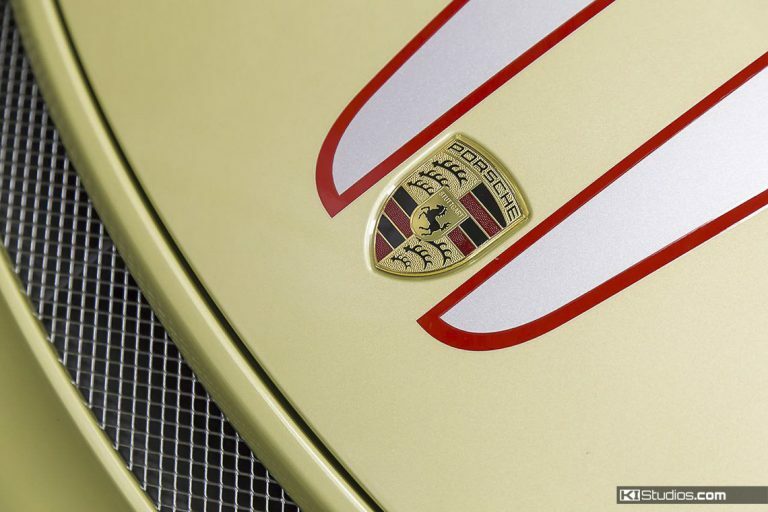 This stripe is also amazingly popular on Porsches of all types. 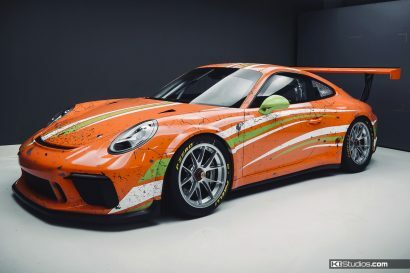 It might be a Ferrari-style stripe, but Porsche owners of all ages have made this stripe their own. We love the very organic look and the low to middle depth of field. 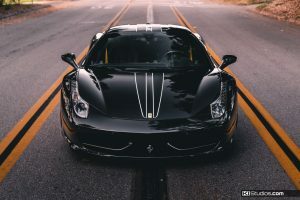 It’s generally hard to shoot a black car properly. They usually end up over-exposed as many photographers attempt to expose the subject and the background equally. That sort of thing simply doesn’t lend it self well to black cars. In this case, the slight under exposure helps balance the shot and show a true depth to the black. This also allows the background to look pleasing. 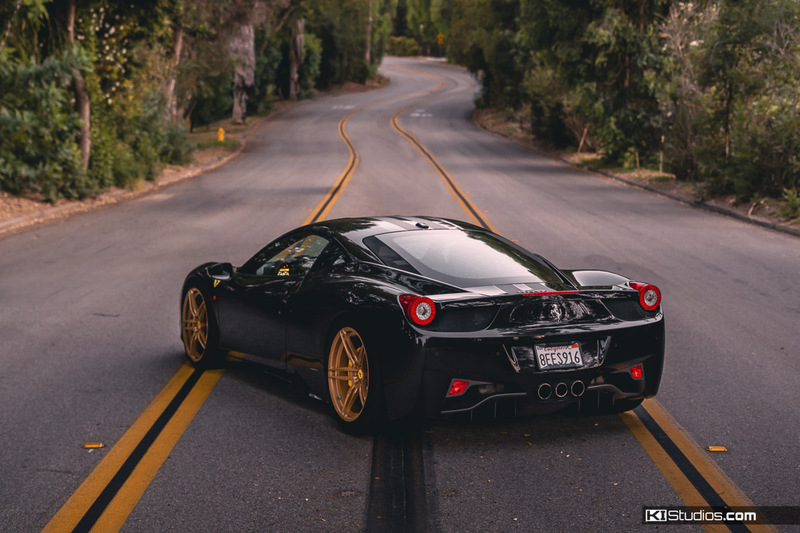 If you are interested in stripes for your 458, visit the complete line of stripe styles for the Ferrari 458 Italia.